You may check your progress towards certificate completion by comparing course credits earned against the requirements of your certificate program. To review your certificate requirements and suggested class sequences, please find your certificate in the sidebar of our Certificates page. Your transcript may be reviewed at any time by logging in to the student portal. You may use this as a tool to compare your progress with the program requirements. Students are encouraged to keep all contact information up-to-date through the student portal. NOTE: It is the student’s responsibility to ensure that courses taken fall within the approved curriculum of the certificate that the student is enrolled in. If you have any questions about a course, please contact our office by calling (310) 825-9064 or emailing entertainmentstudies@uclaextension.edu. Once you have determined that you are nearing certificate completion (typically, once you have enrolled into your last quarter of study), please contact the Entertainment Studies office to request an official transcript assessment. You can expect a verification of completion (or a transcript assessment of program requirements yet remaining) within 10 business days of your request. Once your transcript has been assessed and you have been notified that you are on track to complete your studies, you must complete a Graduation Form and return it to the Entertainment Studies office via email, fax, or U.S. mail. In order to submit a graduation form, you must be enrolled into all final program requirements. Students are eligible to enroll and submit a graduation form at any time from the day of their final quarter that enrollment opens to the end of the first week of class. Late transcript assessment requests and graduation form submissions will be assisted in as timely a manner as possible, but may delay your scheduled completion. All grades must be recorded for your certificate to be ordered. To check your grades and/or ensure that any pending grade issues have been resolved, please visit the student portal. Once all program requirements are successfully completed with a minimum overall GPA of 3.0, candidates are awarded a Certificate of Completion bearing the gold seal of the University of California and signed by the Dean of UCLA Extension. Students with a GPA of 3.5 or better will complete their certificate “With Distinction.” Certificates are issued approximately 4-6 weeks after the conclusion of your final quarter. Please be sure to select your preferred method of receiving your certificate on the graduation form. Certificates will be mailed out to the address you specify on your Graduation Form. Certificates are mailed in oversized envelopes that do not fit into a post office box. Do not use a P.O. Box as your address. If you are moving soon, include your new address in the “certificate options” section of the graduation form. Certificates can no longer be picked up at UCLA Extension. UCLA Extension presents an annual certificate awards ceremony in June of each year. While not mandatory, we highly encourage you to take part in this exciting event to honor your achievement! You can prepare in advance for the event by visiting the UCLA Extension Graduation website, which includes useful information about the event. NOTE: While students are recognized by area of study at the awards ceremony, the physical certificates are not given out at the ceremony. 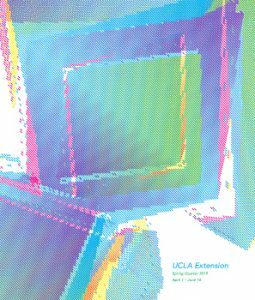 UCLA Extension’s academic year runs from July to June of the following year. Students who have submitted a graduation form and received their certificates in the previous summer, fall or winter quarters will be invited to the graduation ceremony for the current academic year. Students who plan on graduating at the end of the spring quarter (just prior to the graduation ceremony) should enroll early and submit their graduation form (as well as request a transcript assessment) no later than the end of the first week of spring classes. Once approved, your name will be added to the graduation invitation list. Students who plan on completing their certificate studies at the end of the summer quarter (following the graduation ceremony) may be allowed to participate in the current year’s ceremony. Such students must enroll within two weeks of the summer catalog release date and submit their graduation form in that same two week period. Summer students also have the option of participating in the following year’s certificate awards ceremony. Students are only eligible to participate in the awards ceremony once.